Where we find prospective customers has evolved dramatically in the past decade. 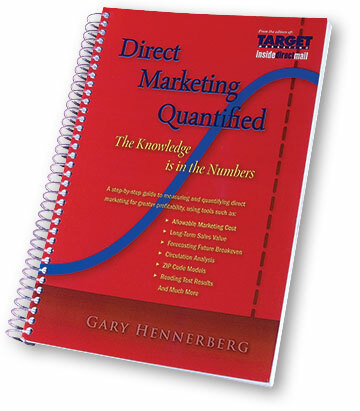 In my blog at Target Marketing Magazine titled 5 Tips to Identify Prospects in a Niche Market, we offer ideas for direct marketers who are on a budget and searching for prospects in niche markets where they don’t require thousands of leads. They just need a few dozen or a few hundred qualified leads. The good news is that business-to-business marketers, B2C and non-profits now have easily accessible options, many of them online, to identify a small number of highly qualified prospects. Last week I spoke with two organizations having the same issue with finding qualified leads. One of those is a digital learning advocacy organization whose vision is large, involving elected officials at state-levels and requiring support from corporate sponsors in a niche field. Among the dozens of initiatives for this organization, a vital one is raising money. Fortunately, the organization, the Digital Learning Alliance, already has the support of CEOs from the largest of multi-million dollar corporations who are the leaders in this niche. But CEOs and senior management from the next tier of digital learning organizations need to be reached. DLA knows some of the companies who are prime candidates for sponsorship, but not always the people inside. Before cold-call phone calls are made, DLA wants to identify these prospects and introduce them to their message. As direct marketers, we know there are lists available to rent to reach these companies. But DLA is an organization who doesn’t want the volume of names that often come with a minimum order. Nor do they want to go to the expense of mailing or emailing an unproven list. They just want a few hundred qualified leads. 1. Create Your Company Page: do this first if you haven’t already! 2. Friend-get-a-Friend: for DLA, they ask the leaders of well-known companies already supporting them to reach out on their behalf to their LinkedIn contacts. With this approach, there is built-in credibility with the initial contact. 3. Search for Prospects: Using Advanced Search, you can filter results and invite people to connect from companies you know should be on your prospect list. 4. Start a Group. For those who opt-in to the LinkedIn Group, it’s a way to make sure the news feed has updated information about what’s happening to fulfill the organization’s vision and mission. You can post discussions and questions to encourage engagement. 5. Join Other Groups: If there is a group whose members include people in your niche, join it. Then pose questions, offer answers, and demonstrate why you should be followed. While the LinkedIn basic service gets you started, the upgrades may be worth the investment to reach deeper into possible connections and other features. Of course the downside to this approach is that searching for people on LinkedIn can be time and labor intensive. But if you only need a few qualified prospects, don’t have money to rent a list, or resources to pay for the waste of either printed direct mail or unopened email, and you want to connect with someone inside an organization where you can get a referral, what better place than LinkedIn? Plus, if you have a PowerPoint presentation you can share, you can get it to your prospects seamlessly with Slideshare (owned by LinkedIn). Slideshare is a tool used by many executives seeking out information in PowerPoint presentations and videos. We’ll keep you posted in a future blog about how this approach is working for DLA, but if in the meantime you have additional experience and recommendations about where to find leads for niche markets, please share them in the comments section below.